Hello buddies out there, I need your attention for a moment. This is a kind of question that always arises inside my heart, that why you guys come here on this forum? Just to grab some awesome wood pallet recycling plans? Well, that’s pretty obvious. But we do this with a slightly different intention, we do it for doing something good, that would benefit to the humans and would also do good to the nature by discouraging the cutting of trees. So just keep doing this with full passion. And with the same approach I am bringing again a new pallet wood couch here just for the folks. I strongly believe that these wooden pallet recycled furniture projects are no less that their market based counter parts. People sitting out there in the markets just exploit our laziness and our ignorance. 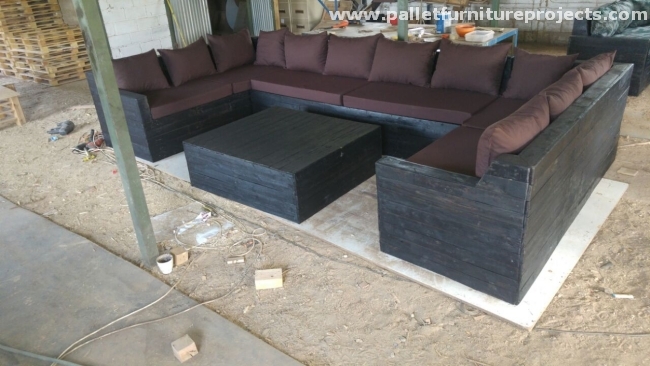 If we really take an initiative and start working on these wood pallet recycling ideas, we can literally equip our entire home with some of the best pallet wood creations which would certainly be different from stereotype market furniture, they would aptly be according to our choice, and above all no horrible expenses at all. 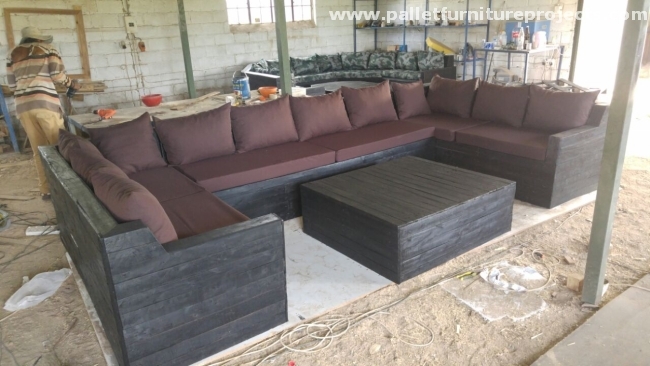 I would like to grab the attention of folks over here on these smart wooden pallet couches we have especially designed for you people. 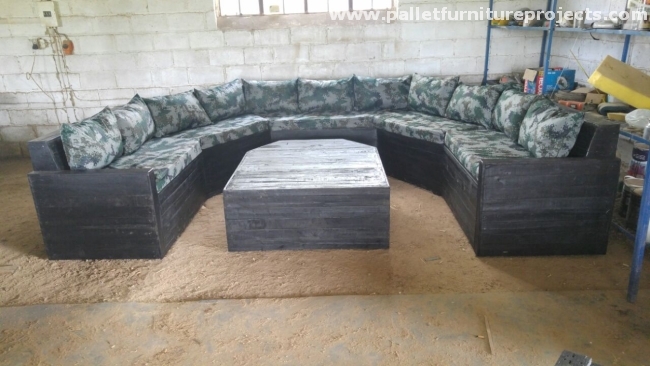 The first one is a 12 seater embellished with dark maroon couches, plus there is also a low wooden pallet coffee table matching with the couch. 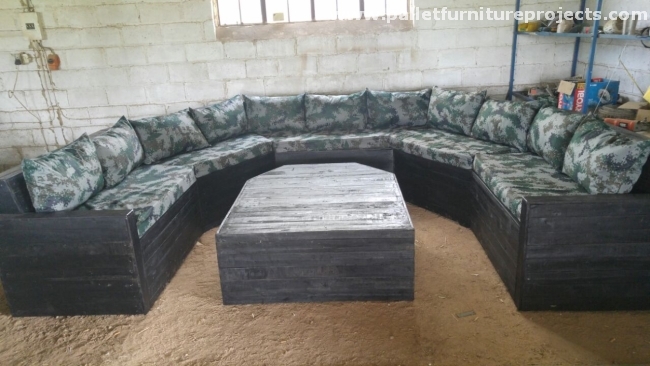 And the next one is enough to capture your entire room space, this is again a huge and wide pallet wood couch along with a matching centre table that is pretty different from the conventional shapes and designs. They are stained with dark brown color. And then embellished with robust printed polyester couches, a complete package of comfort and style.